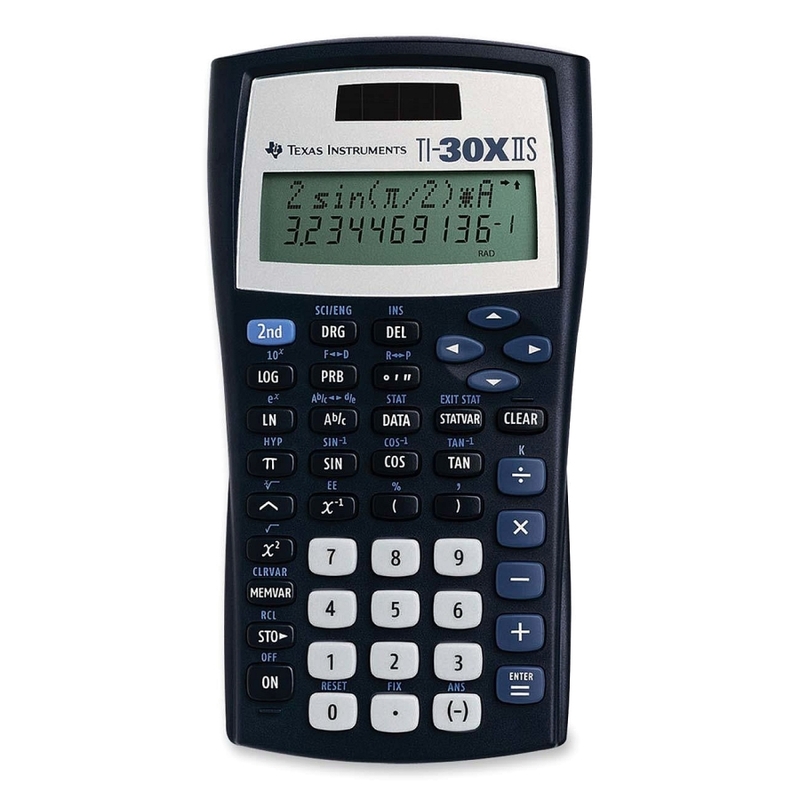 Two-line battery operated model performs 272 basic scientific and trigonometric functions. 10 digit display. 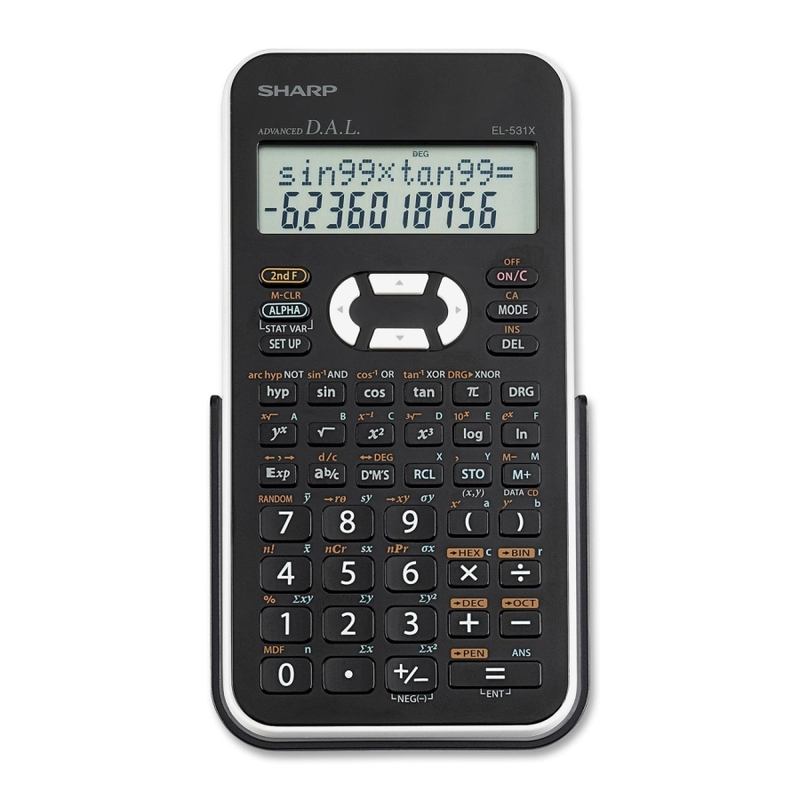 2-line dual powered scientific calculator showing entry and result. Recall and edit previous entries. 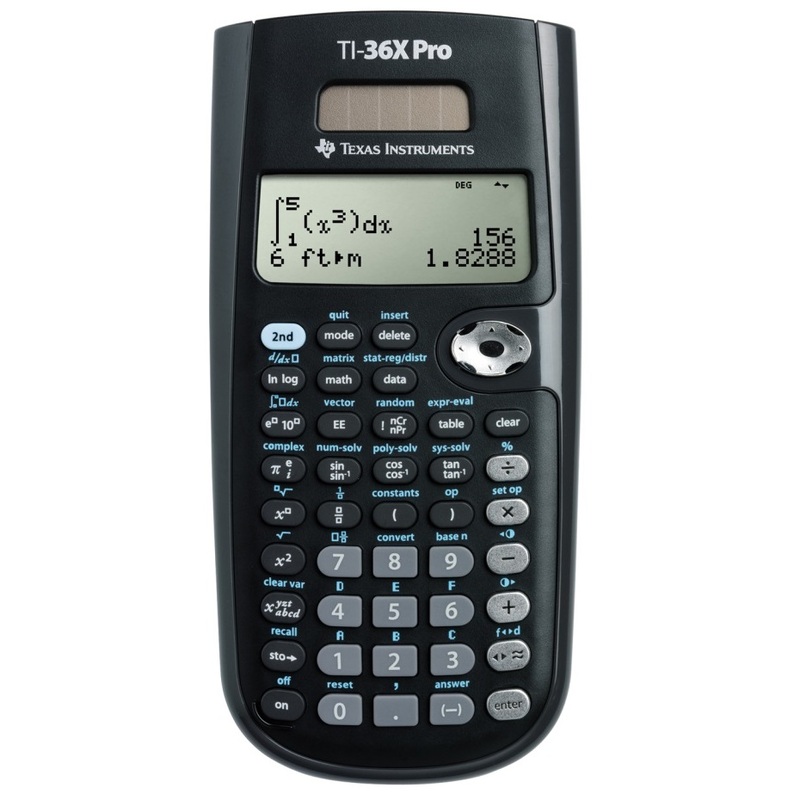 One-line battery operated model performs basic scientific and trigonometric functions. 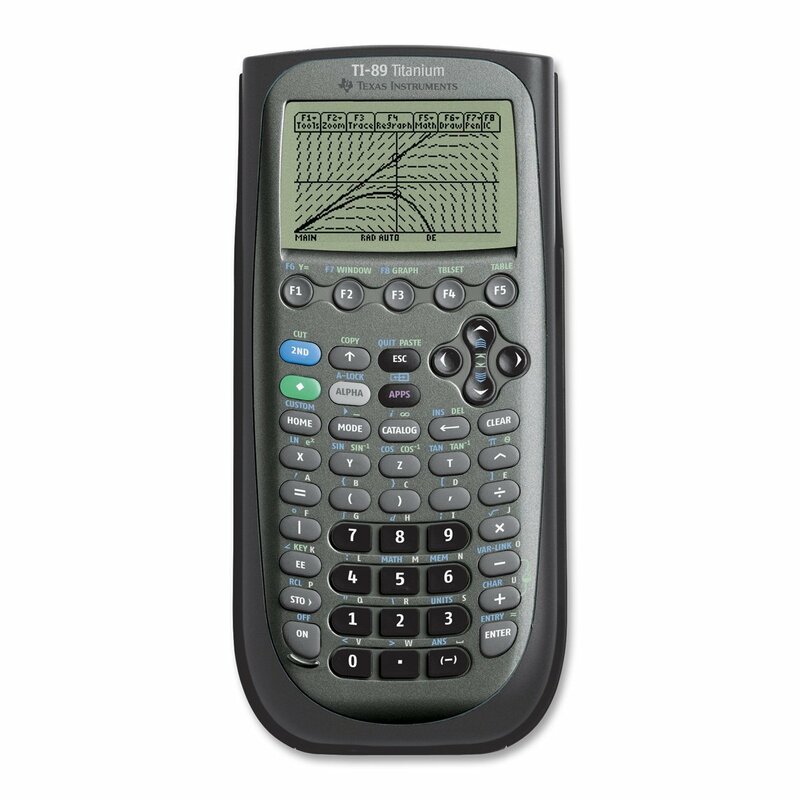 Advanced scientific calculator with a 4-line MultiView™ display and MathPrint™ capability. With engineering, higher-level math and science functionality it is ideal for use in curricula in which graphing technology may not be permitted. Solar/Battery Powered. 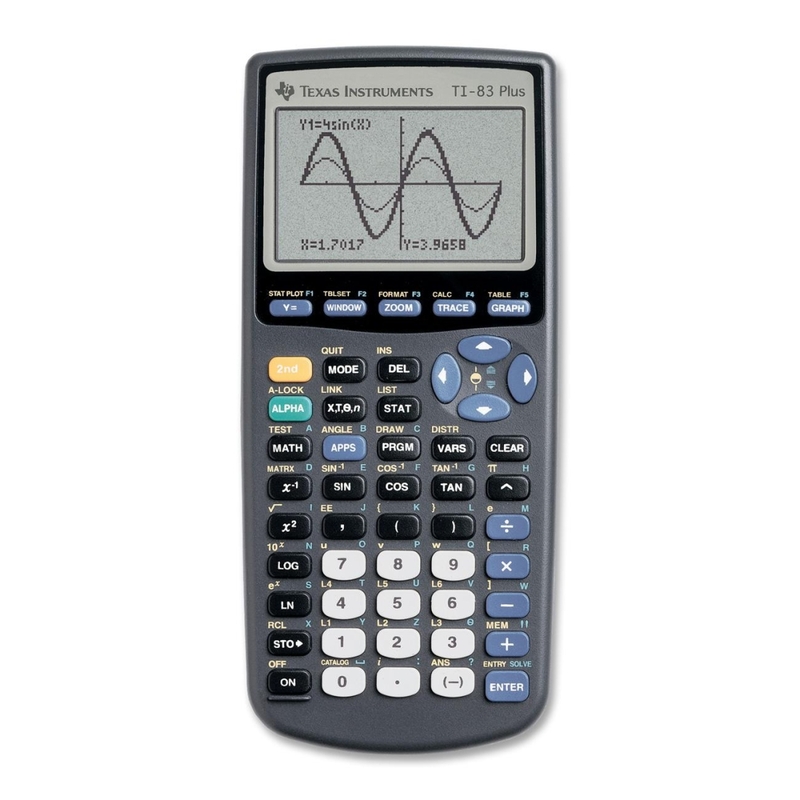 Basic graphing calculator for math and science. 4 AAA batteries and a sliding case are included. Computer Algebra System (CAS) for higher level math and science; plus preloaded engineering apps. Includes 4 AAA batteries and a USB cable.